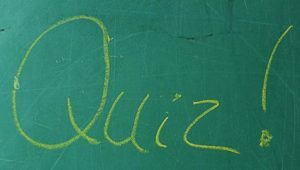 GDPR QUIZ – TRUE OR FALSE ? How much do you know about GDPR ? Take our GDPR quiz and separate fact from fiction. Offices that deal with members of the public a high – risk for data protection issues. TRUE – Especially if you process data relating to special data such as religion and health. You must have a written Data Protection Policy. FALSE – Not a legal requirement, but good practice. You need information about data protection in your terms of engagement, website etc. TRUE – Your duty of transparency means you need privacy notices. We provide precedents. You will no longer be able to send bulletins to clients, unless they opt in. FALSE – Though widely believed. We provide a methodology of how you should approach marketing communications post 25th May. One must not process personal data without the consent of the person concerned. FALSE – There are many possible grounds for processing personal data, as our training explains. Only rely on consent if nothing else applies. People generally must have the right to see what data you hold about them. TRUE – Your people need to be aware of this, and take care what they write down. You can be fined if a single member of staff makes a data protection error, in good faith. TRUE – One misplaced email can result in a fine or civil claim. So training is vital. You should often redact information on client/public matters, to remove personal data. TRUE – Our training explains how disclosure and due diligence information in particular may require careful handling. GDPR compliance is the responsibility of the Nominated Data Protection Officer of Data Compliance Officer. TRUE – Though everyone must be involved. FALSE – Start on risk assessment, training, and getting opt – in consents now. Do you have any other questions about GDPR or our GDPR Quiz ? This article was added on Tuesday, April 3rd, 2018 at 3:33 pm and is categorised under GDPR. Both comments and pings are currently closed. Error: Error validating access token: Session has expired on Saturday, 09-Mar-19 13:12:58 PST. The current time is Thursday, 25-Apr-19 10:04:30 PDT.